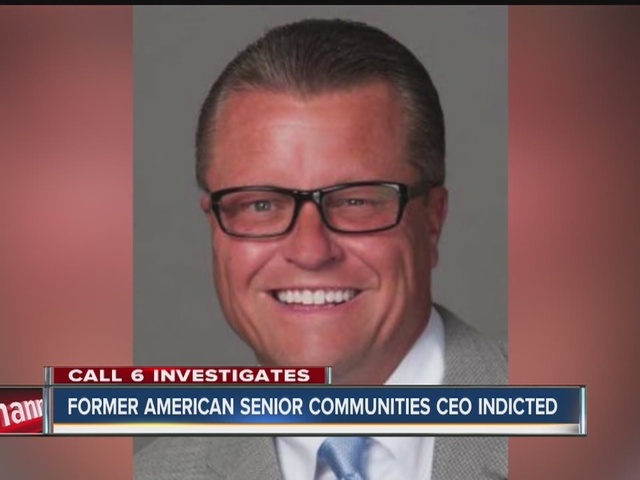 INDIANAPOLIS -- The former CEO and COO of American Senior Communities used a web of shell companies, fictitious charges and kickback schemes to defraud the federal health care system of more than $16 million from 2009-2015, according to a 32-count federal indictment filed against them last week. 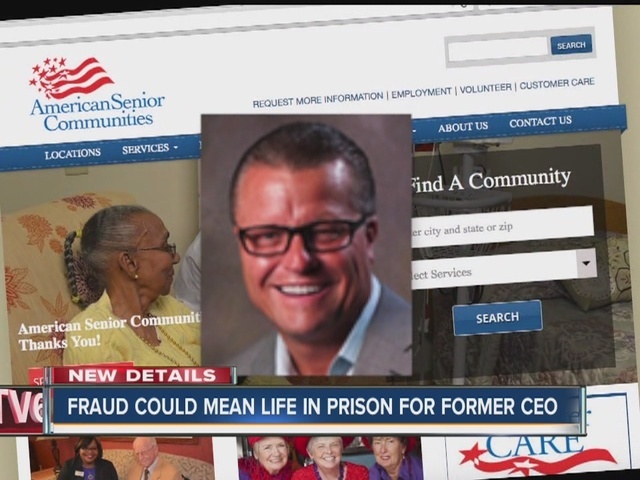 James Burkhart – who was fired as American Senior Communities' (ASC) CEO after federal investigators raided his home in September 2015 – former ASC COO Daniel Benson, Burkhart's brother, Joshua Burkhart, and Steven Ganote, an associate and personal friend of Burkhart, face dozens of federal charges between them accusing them of conspiring to commit wire, mail and health care fraud, conspiring to violate anti-kickback statutes and money laundering. 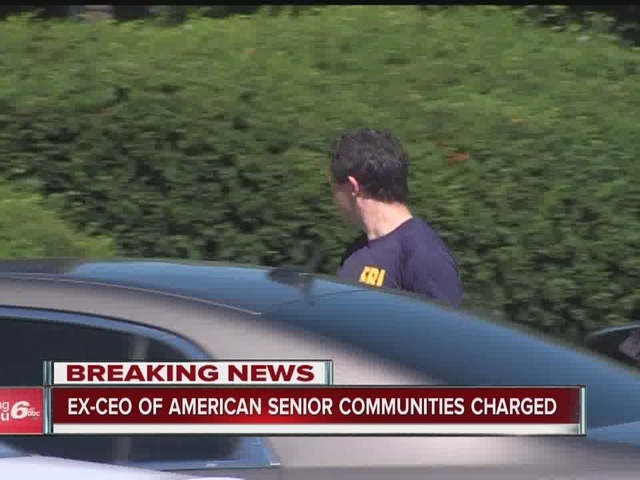 PREVIOUS | American Senior Communities releases statement on FBI raid at home of CEO | PHOTOS: FBI investigating home of senior communities CEO | Who is James Burkhart ? In total, the indictment alleges the group used dozens of shell companies to defraud ASC, the Health & Hospital Corporation of Marion County and Medicare and Medicaid of more than $16 million since 2009. U.S. Attorney Josh Minkler said the men used the money to purchase vacation homes, gold watches and diamonds for themselves. "This was a case of unbridled greed, deceit, and theft from programs we all count on to take care of the poor and the elderly," Minkler said. "Over $16 million from fraud and kickback which they used to finance a life of luxury." Federal prosecutors allege Burkhart, Benson and their associates sought to enrich themselves from nearly every aspect of the business – from fictitious "consulting" charges from a landscape firm, to inflated invoices for uniforms, nurse call lights and speech therapists. In one case, the Burkhart brothers are accused of buying American flags from a local supplier and then invoicing ASC for them through a shell company at a 150-percent markup. "Nothing was off the table for these individuals," Minkler said. Among the dozens of schemes the group is accused of perpetrating, investigators say James Burkhart and the owner of Fishers-based landscaping firm Mainscape Inc. intentionally falsified and inflated invoices to ASC to pay kickbacks to Joshua Burkhart, themselves and pay for James Burkhart's personal travel and political contributions. Indiana campaign finance records show James Burkhart has made two large contributions in statewide races since 2009: $5,000 in 2012 to the House Republican Campaign Committee; and $2,500 in 2013 to Gov. Mike Pence's campaign committee. Mainscape's owner, Dave Mazanowski, is also facing federal charges of conspiracy to commit wire, mail and health care fraud. In another case, prosecutors accuse Burkhart and Ganote of approaching a nurse call light company to install upgraded systems throughout all ASC-managed facilities. Burkhart and Ganote allegedly asked the company to inflate its invoices by 30 percent – and to pay that 30 percent overcharge to Force Holding Company LLC, a shell company owned by Ganote. According to the indictment, the company refused. Burkhart and Ganote subsequently are accused of finding another company that allegedly did agree to a 35 percent overcharge, which was then kicked back to Burkhart and Ganote. The pair is alleged to have made more than $3.7 million in kickbacks from that scheme alone. In many of the alleged schemes, one or more of the co-conspirators are accused of buying products from legitimate businesses and then "selling" those same products to ASC through a shell company for a large overcharge – sometimes as much as a 200-percent increase in price. In other instances, the co-conspirators are alleged to have asked legitimate private businesses, often successfully, to intentionally overcharge and then provide kickbacks to the Burkharts, Benson or Ganote in exchange for receiving a contract with ASC. Other than Mainscape Inc., none of those private companies were named in the indictment, and none of them, their employees or owners currently face federal charges in the case. American Senior Communities is grateful to the United States Attorney’s Office and the federal agencies whose hard work and dedication resulted in today’s indictment. ASC has actively cooperated in this investigation and will continue to cooperate until the prosecutions are concluded. ASC was the victim of a betrayal of trust by two of its former officers. ASC continues its strong tradition of providing excellent care, which has made ASC a valued and respected provider of senior care in Indiana. Nothing in the investigation or this prosecution involves resident care. ASC’s primary focus continues to be exceptional resident care. ASC appreciates the commitment of its employees and continued support of its families. ASC has emerged from this process a stronger, more vital organization. ASC has implemented many safeguards, and strengthened the organization with new leadership under the direction of CEO Donna Kelsey. ASC skilled nursing and residential facilities continue to enjoy quality ratings that exceed state and national averages. James Burkhart is being represented in the case by former federal prosecutor Larry Mackey – best known for his involvement in the Timothy McVeigh case. Mackey has not yet released a formal statement on the arrest. Before his stint as CEO at American Senior Communities, Burkhart was a manager at Ernst & Young for six years, a service company that helps other companies run their business, according to Bloomberg Business. He has worked in the senior health care industry for more than 20 years. ALSO READ | American Senior Communities looking for new leadership following FBI raid | What's next for American Senior Communities?